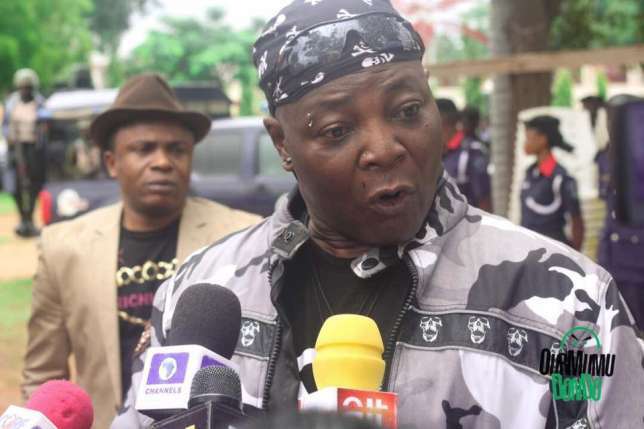 Recall that several weeks ago, the Nigerian Police had 'attacked' Charly Boy with water cannons, teargas canisters on protesters who were asking that President Muhammadu Buhari either resumes duty or resign his position as the country’s leader. 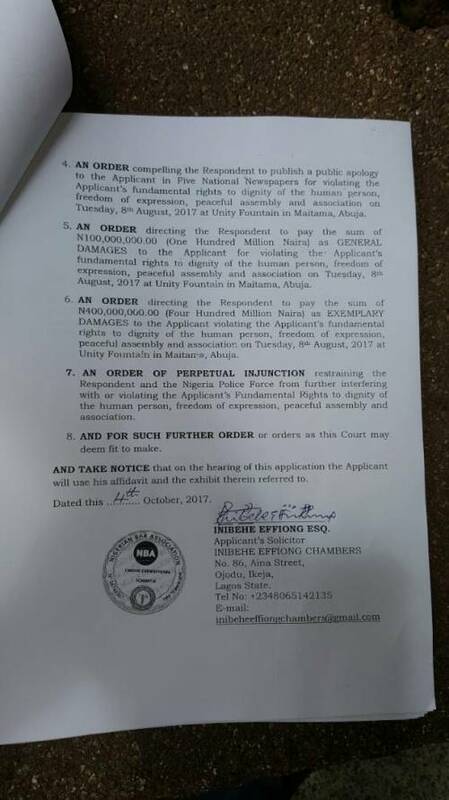 Well, the 66 years old Activist musician and convener of #OurMumuDonDo movement, Mr. Charles Oputa, popularly known as Charly Boy through his Counsel, Lagos-based legal practitioner and human right activist, Inibehe Effiong, has filed a fundamental rights enforcement suit dated the October 4, 2017 against the commissioner of Police, FCT Police Command who is joined as the respondent in the suit at the High Court of the Federal Capital Territory (FCT) in Maitama Abuja over the violation of his rights to dignity of the human person, freedom of expression, peaceful assembly and association over the attack on the Resume or Resign protesters on the 8th of August, 2017. 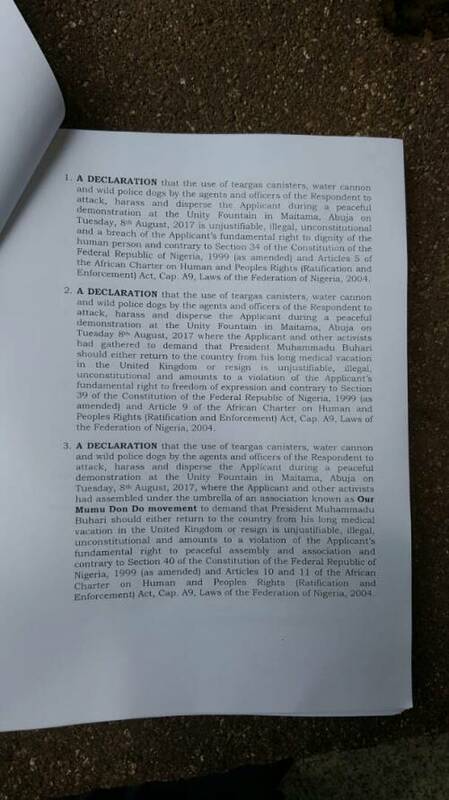 According to him, the invading policemen attacked him and other protesters and dispersed them with wild police dogs, water cannon and teargas canisters despite the fact the seven of them who participated in the sit-out protest that day were very peaceful and did not breach or threaten public peace in any manner. 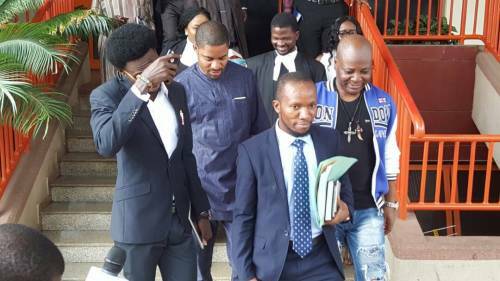 He further narrated that the attack by the policemen was so severe that he collapsed in the process and was rushed to the hospital. 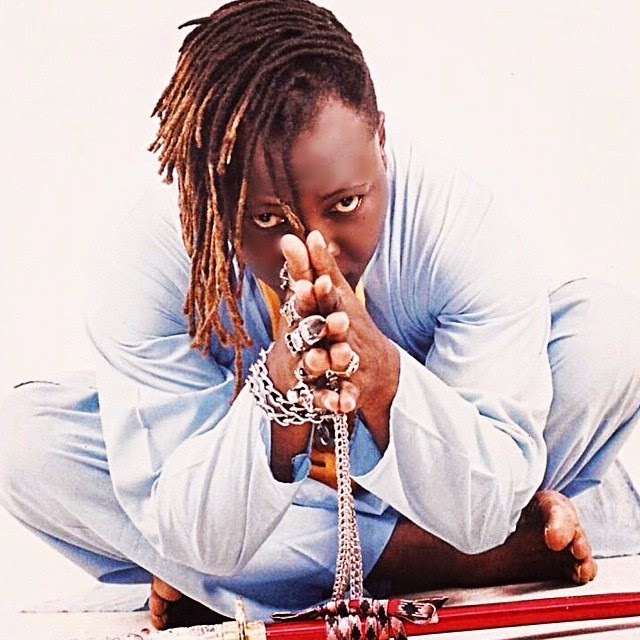 Charly Boy is therefore demanding for a letter of apology published in five national dailies. 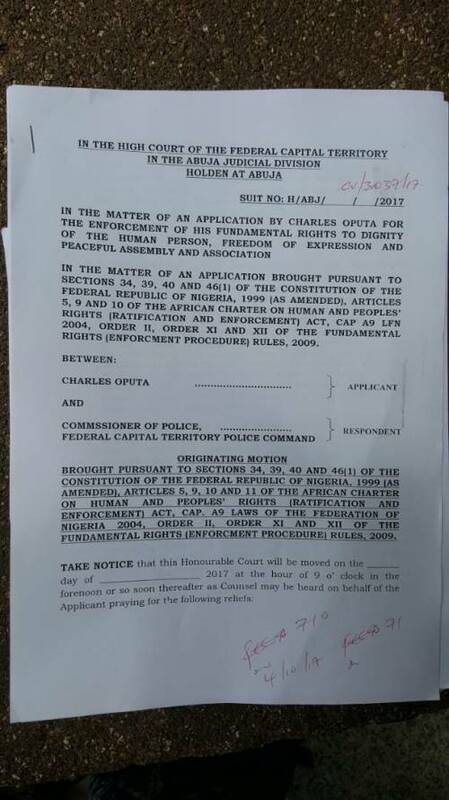 He is also seeking an injunction restraining the commissioner and the Nigeria Police Force from further interfering with or violating his fundamental rights to dignity of the human person, freedom of expression, peaceful assembly and association.